The Instructional Systems Technology Program recently received its second Quality Matters (QM) program certification. This new recognition is for Online Learner Success. UNC Charlotte is the second institution to receive this individual certification, since the introduction of QM program certification in 2015. Florence Martin, a professor in the Department of Educational Leadership in the Cato College of Education, led the team that achieved this second level of QM certification with support from the IST program faculty Beth Oyarzun and Ayesha Sadaf and Enoch Park, an online learning specialist with the Center for Teaching and Learning. In 2017, the IST program received QM program certification in Online Program Design. QM program certification also includes two other individual certifications: Online Teaching Support and Online Learner Support. Click here for a list of institutions that have received QM Program Review Certification. 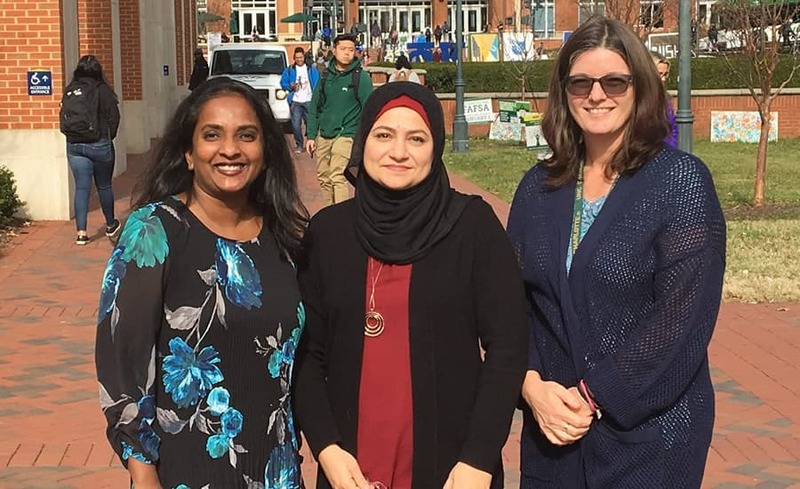 Photo: ITS faculty members Florence Martin, Ayesha Sadaf and Beth Oyarzun.